AirAsia's Red Hot Sale is back with up to 5 million promotional seats from September 11 to 17, 2017. The biggest AirAsia seat sale will definitely set your 2018 calendar full and you shouldn't miss it for the world. 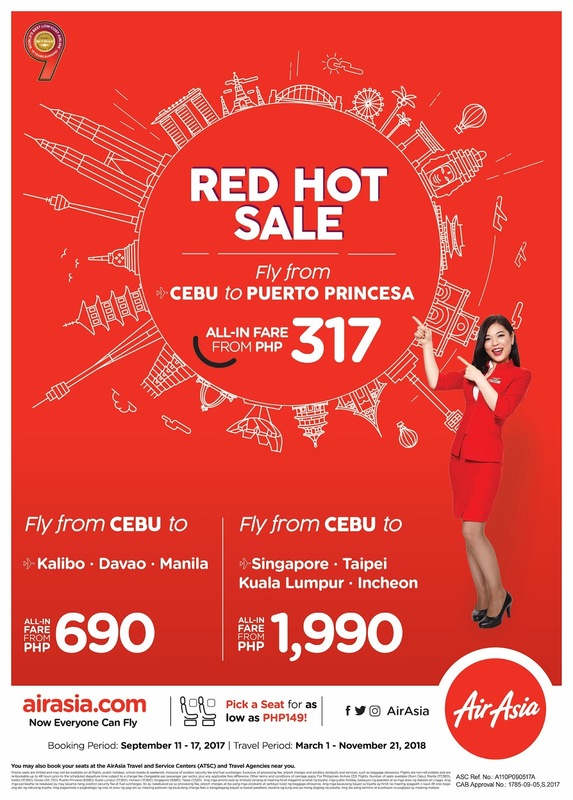 If you are from Cebu, fly to Puerto Princesa for only P317! Go to the beaches of Kalibo or Davao, or enjoy a weekend stroll in Manila for only P690! Dabawenyos can now go to Puerto Princesa, Palawan for an all-in fare of P217! Be amazed by the beauty of Puerto Princesa Underground River or travel to the majestic El Nido beaches. You can also fly from Davao to Kalibo, Cebu, Manila, or Clark for as low as P590. 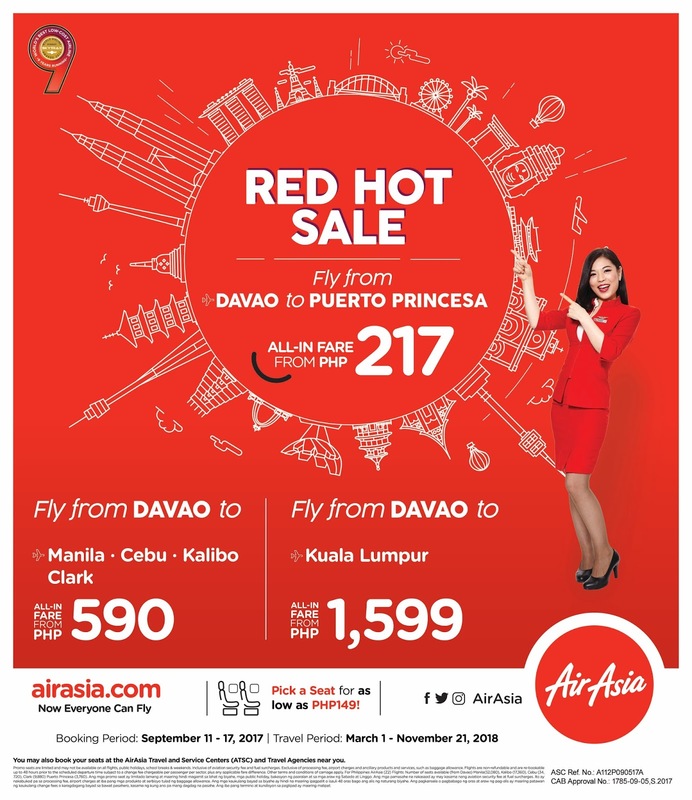 Promo fares to international destinations are also up for grabs from Davao to Kuala Lumpur for only P1,599. Cebuanos can also fly Singapore, Taipei, Kuala Lumpur, and Incheon/Seoul for an all-in fare of P1,990. Travel period is from March 1 to November 21, 2018. You may book seats via airasia.com or the AirAsia mobile app. BIG Members were able to make bookings online and redeem flights starting from 0 BIG points, exclusively last September 10. 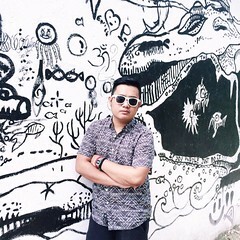 It's free to sign up as a BIG Member via airasia.com, airasiabig.com or BIG Loyalty mobile app to redeem promo flights during this promotion. Follow AirAsia on Twitter @AirAsia and Facebook www.facebook.com/AirAsia for more updates on promotions and activities.